We all know about the surprise attack on Pearl Harbor on December 7, 1941, "a date that will live in infamy." But how many know that only 9 hours later, the Japanese launched an attack on American bases in the Philippines? The fact is that most of us don't really know as much about the Pacific front as we do the European front. Likewise, most of us don't know that when American forces were forced to surrender and the troops who had not been killed were taken prisoner, among the POWs were approximately 100 military nurses, both Army and Naval. Over the course of those three years, the nurses lost weight because of the starvation-level rations they were given. some developed beriberi, others dengue fever and/or bouts of malaria and tuberculosis. Even after they returned to the US, many suffered from untreated Post Traumatic Stress Disorder, untreated because Farrell writes, understanding of PTSD was two wars and generations away. And sadly, it wasn't until most of the nurses had passed away that any real recognition of they had experienced and the nearly miraculous care they gave to their patients under such terrible conditions was acknowledged. Pure Grit is a well researched and very readable history of these courageous women. Some of their individual stories are sandwiched into the narrative of what happened in the Philippines, giving it all a very intimate feeling. That feeling is enhanced by all the private photos, newspaper clippings, diaries, and other primary source documents Farrell included to round out the lives of those admirable nurses who served so bravely. Besides a history of the survival of the nurses held POW by the Japanese, there is also a useful glossary, a list of all the nurses serving when the Japanese invaded, a select timeline pertaining mostly to the events affecting the Philippines, extensive Endnotes, a nice bibliography, and websites where the curious can find more information. War books are not always easy to read, but Pure Grit is an exception to the rule and a wonderful addition to any Women's History library. And it will be available just in time for Women's History Month which is in March. Full Disclosure: I have a soft spot in my heart for women who became nurses during WWII - which is exactly what my mom did. 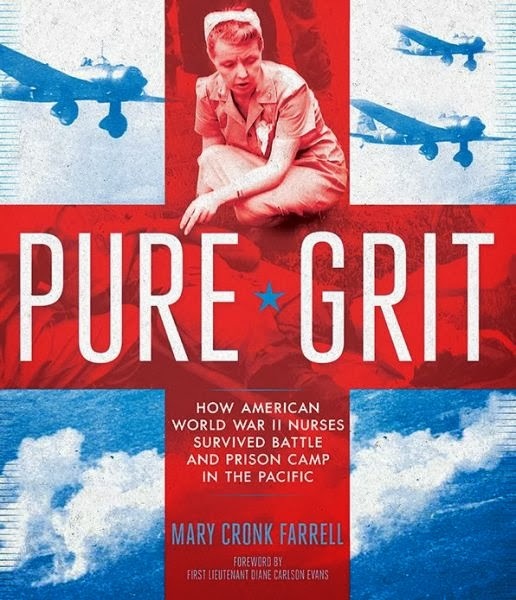 Pure Grit: How American World War II Nurses Survived Battle and Prison Camp in the Pacific will be released February 25, 2014. Alex, how much of your mom's story do you know. Maybe you can blog about that sometime! Unfortunately, I don't really know much. She never really spoke about it, which is rronic since she returned to nursing when I was about 12. After my mom died, I realized there was so much I should asked about and didn't. Same with my dad. This sounds like a fascinating read! Thanks for the fantastic review. Thanks, It is a really fascinating book. I can't imagine how those nurses survived the way they did. Thanks so much for sharing this review. I realized this is an area of history that I know nothing about.This sounds like an interesting book and one that I will learn a lot from. Those nurses (and all nurses) sound amazing! I have to admit that I din't know much about these nurses or the Pacific fighting either, but this was such a well written book, I feel I learned so much from it. Nurses are indeed amazing people. Your are most welcome, Mary. And thank you for writing such an interesting book. 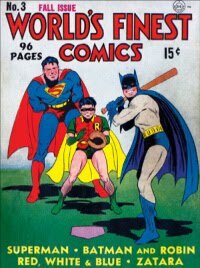 I want to read this. You know I'm from the Philippines but I still have a lot to learn when it comes to our own history. I know about the Death March and the war but not in-depth details like American nurses surviving prison camp under the prickling Philippine heat. Books about war tend to be hard to read, but I'll take your word for it. I look forward to this book. Thank you, Alex!